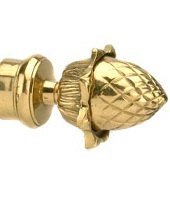 Add some classic style to your curtain fittings with our range of finials, brackets, tie backs and rings. During our many years in Business, we have developed a range of curtain fittings. All made from solid brass, this comprehensive range of quality products is now available to purchase from the website. 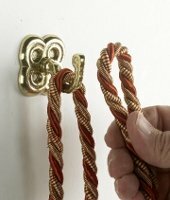 The range includes many designs of finials and tie back hooks as well as various sizes of curtain rings. 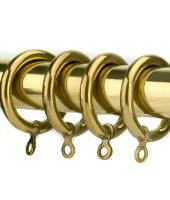 Amongst the range we can also supply curtain rail and brackets.